My (still glorious) Retina MacBook Pro is 15 months old and its relatively small 256GB SSD has accumulated the usual cruft. Time for a clear out. With the launch of Mavericks I decided it would be a good opportunity to do a clean install of OS X (if you fancy doing the same then checkout this helpful free video guide from ScreenCastsOnline’s Don McAllister). A shiny new OS build is always great, but there’s so much to re-install and setup again. So here’s a list of the first 30 Mac apps I installed, the ones I use to create Automated Home as well as others for work and play. Hopefully there might be something useful here you’ve not tried before. Let me know your favourite Mac app that I should try in the comments below. 1Password (£34.99) – Despite a somewhat half-baked launch of the new v4.0, 1Password remains my password manager of choice. Other utilities are available and Mavericks now comes with iCloud Keychain, but 1Password is still our go-to manager. Available for the Mac OSX, iOS, Windows and Android platforms too. Alfred (Free – £17) – Another one of those can’t do without utilities. From launching apps to using hot key actions and custom workflows, it’s indispensable Available as a free version with the advanced features unlocked with the addition of the ‘Power Pack’ at £17. Adium (Free) – It may be just us old folk that still use IM these days, the kids seem to just FaceTube each other or whatever this weeks thing is. Still, I use IM with some people and Adium is my open source client of choice. Adobe Lightroom (~ £85.00) – I’ve been into Photography since I got my first SLR in 1981 and I like to post the odd pic to my Flickr. In all that time the move to shooting in RAW and processing in LightRoom was the single biggest upgrade to my photography, far above any new kit I’ve bought. 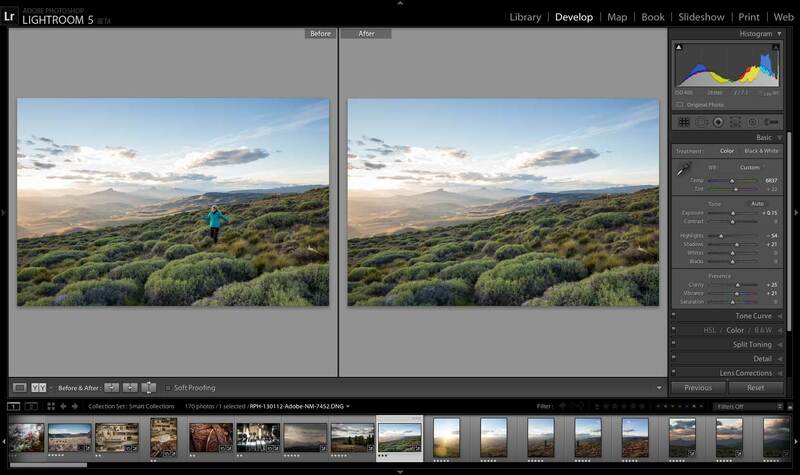 As well as editing your photos LightRoom looks after your Digital Asset Management needs too, cataloging and organising your photos. Highly recommended. Adobe Photoshop (from ~ £240.00) – The swiss army knife of the graphics editing world, its success has been cemented by becoming verb in common culture. Sadly Adobe has moved to a subscription model for most of its software this year which stinks for me. Still, it’s an invaluable tool for day to day image editing on AutomatedHome.com and I bought CS6 as it looks like the last version you’ll be able to own. Check out Pixelmator as an alternative. Photoshop available from around £240 (student edition). CoconutBattery (Free) – Cool little app to keep and eye on your battery performance and cycle count. It can record readings for comparison over time too (as an update to my rMBP Review after 16 months I have 196 cycles, so the 1,000 cycle battery could go to almost 7 years for my use case). ChronoSync ($40.00) – A friendly rsync replacement with a easy-to-use UI that I use to sync important folders from my MacBook to a NAS as well as other scheduled backups. This app handles important stuff! DaisyDisk (£6.48) – Neat little app to see what’s hogging this SSD (how I miss the SSD + 1TB setup of the FatBook – and where’s my affordable 1TB SSD upgrade kit for the rMBP?). A easy to understand graphical representation of your storage and a way to drill down and weed out the big stuff you can delete to free up space. 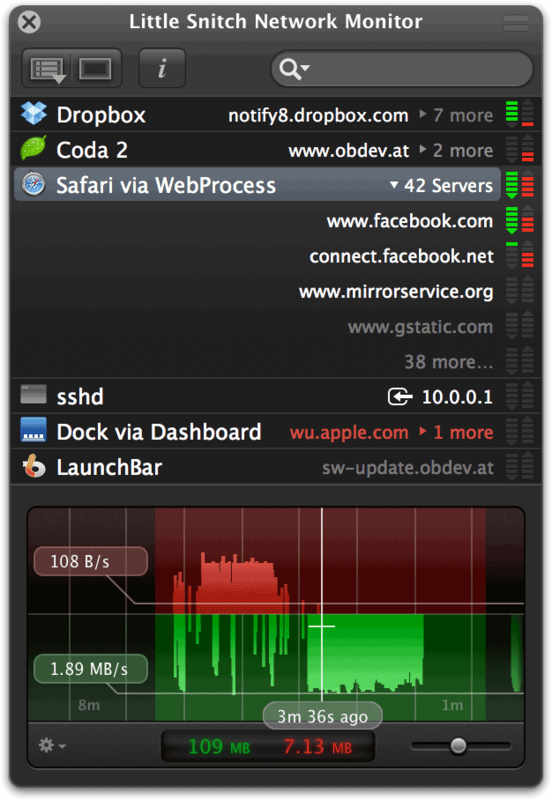 Debookee (£20.41) – Fantastic network utility that I use all the time. 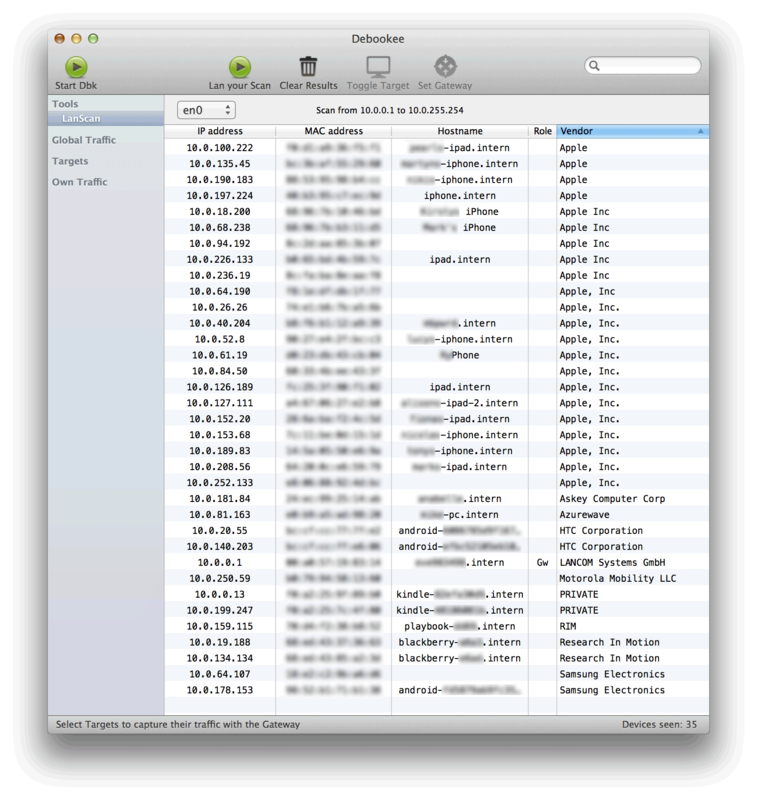 It scans your LAN and displays IP addresses, MAC addresses, Host Names and Vendor ID’s. You can insert custom names of your own against each device. 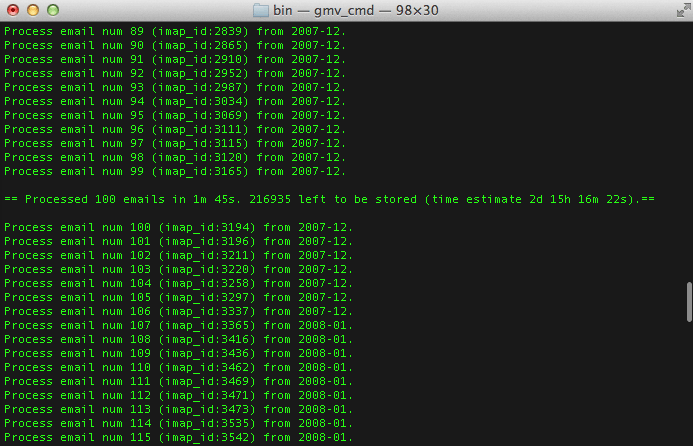 Useful if you are hunting for the IP address of that CCTV camera you just installed. I use it in conjunction with my Draytek routers Data Flow Monitor to identify which device is hogging the bandwidth. You can also target one of those devices and (in something i thought wasn’t possible when using a network switch), sniff some of its Internet traffic to monitor what websites are being visited and what DNS calls are being made. A free cut down version with just the IP Scanner called LanScan is also available. DropBox (Freemium) – Still the best Cloud service anywhere for my money – well, I use the free version and with referrals I now have 13.8GB’s of awesome on-line storage. Indispensable. Filezilla (Free) – Great open source FTP client. Forklift ($29.95) – I use the Forklift FTP client too. With a modern UI that will be familiar to Mac peeps, it’s a pleasure to use and supports FTP, SFTP, Amazon S3 and WEBDav as well as (usefully) Quick Look. Gemini (£6.99) – A useful little app to find duplicate files. I bought this after a family member’s hard drive died. I was invaluable in creating a new single archive of all their unique photos from multiple partial backups. Gmvault (Free) – I talked about this in my “Important Stuff” post last year, a great little open source app to backup your entire Gmail IMAP email history to a local archive in case the worst does ever happen. Google Chrome (Free) – I live in Chrome now. Not even installed Firefox on this build. Still use Safari for the odd item though, like the F1 live timing system that requires Java. Loving the Google Cast Extension that allows me to flick any tab to my TV using the ChromeCast. GPSPhotoLinker (Free) – Another photo related app, this freeware Geotagging utility takes the GPS data from my i-GotU and inserts it into my photo’s EXIF data. Perfect. Handbrake (Free) – Take those DVD rips and other video files and create MP4 and MKV’s that play nice with most modern players. Converts most formats of video and has built in profiles to target a range of mobile devices. ImageOptim (Free) – Brilliant little app that squeezes the last few bytes out of your images. Invaluable webmaster tool to help keep those web pages loading as fast as possible. iStat Menus (£10.38) – Love this app. It moved from free to paid a few years back but was a no brainer to buy. An at-a-glance view of your machines vitals including CPU, Networks, SSD and RAM. Hugely flexible configuration options and the ability to put back your batty life in time as well as percentage. Jaikoz (£20.00 – £30.00) – I’ve been using this Audio Tagger for years now since first discovering it in 2008. Quality automated tagging and corrections from several on-line databases, it saves hours of work and worth it for the album artwork fixes alone. Constantly being updated and developed too. LibreOffice (Free) – Great open source office suite including a Word Processor, Spreadsheet and Presentation app. Haven’t had Microsoft Office on my machine for a couple of years or more now and I’ve not missed it. Little Snitch (From €29.95) – Another level of security for your Mac in addition to your firewall, Little Snitch provides a way to monitor and approve every outgoing connection to the Net. Name Mangler (£13.49) – Love this app. So good at renaming media files and especially useful for naming TV Series DVD rips into a format that Plex likes. 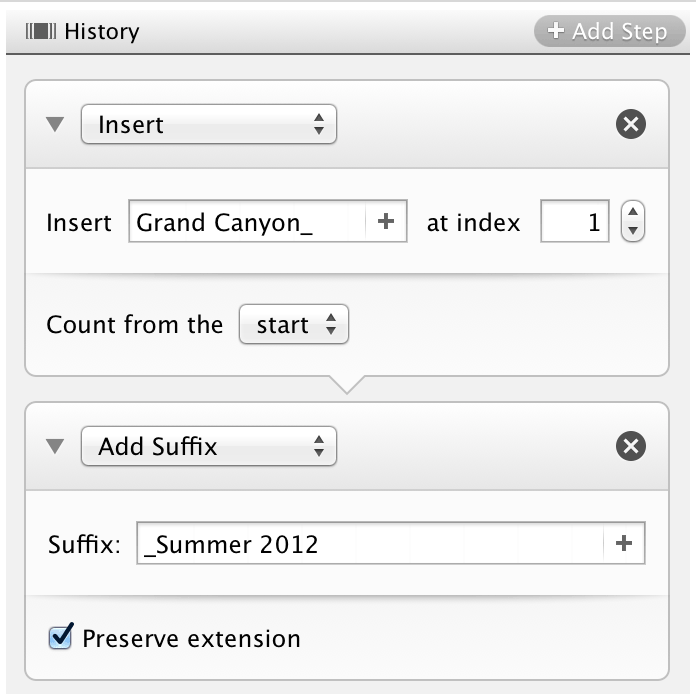 You can built a complex multi-step process to rename your files and then save it to use later. It’s super fast too. Paparazzi (Free) – Handy little utility that allows you to capture an entire web page as a .png file. I often use this just before an Apple announcement as an easy way to recording the prices and specs etc. Here’s an example of its output. Parallels (£65.00) – While the annual upgrade fee is starting to wear a little thin, Parallels is extremely useful and well featured if you need to run Windows or other virtual machines on your Mac. Also checkout VMware Fusion (£45.95) and VirtualBox (free/open source). 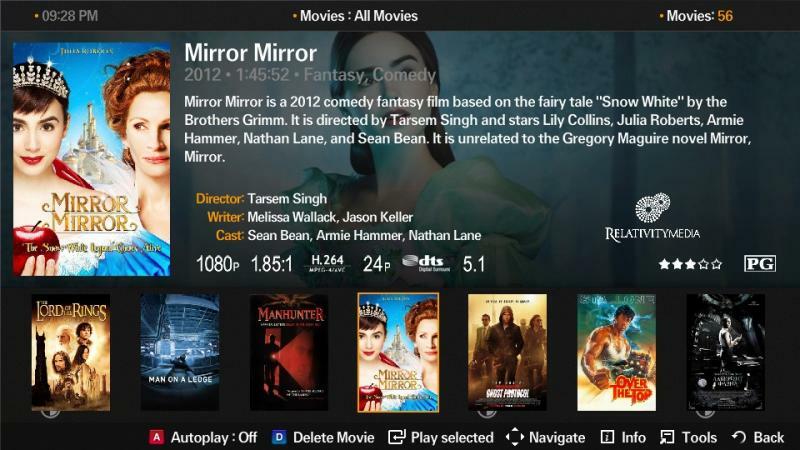 Plex (Freemium) – Still our favourite home media server by a mile. Whether at home, or away Plex is used by the whole family and made even better with the Sync feature. Free on most platforms (including the Mac) with paid PlexPass for advanced features and paid mobile apps. Skitch (Free) – Handy for adding text , arrows, boxes etc to graphics. Useful for giving feedback annotations on beta software too. SuperDuper! (Freemium) – Brilliant utility that I’ve been using for years. Free version is perfect for backing up and restoring Mac disks and partitions but make sure to register it and get scheduling too. Another important app. TextWrangler (Free) – Great text editor app and relation of BBEdit. It’s handy for some quick and dirty HTML editing, viewing XML files or anything requiring line numbers. Developers will love it too. VLC (Free) – The VideoLAN media player with built in codecs that no one should be without. So there it is, the first 30 apps then went onto my shiny new OS X install. Remember to let us know what’s your favourite Mac app in the comments below. 4 Comments on "Our Top 30 Favourite Mac Apps – What’s Yours?" I’ve just bought Gemini & DaisyDisk – haven’t been happy with what I’ve been using for these tasks to great to have a new recommendation to try, thanks! Thanks Simon, that battery monitor app looks great, just bought it. To make those DVD rips for handbrake, I use Mac DVDRipper Pro. Sublime text has replaced textwrangler for me. XLD for ripping my CDs and creating both flac and mp3 transcodes. I use flac library for sonos and mp3 for mobile. makemkv for ripping DVD and Bluray straight into mkv files. No transcoding, just puts the source stream into mkv container, so fairly quick.